So here it is, the first post, hopefully one of many to come! As 2015 comes to an end Mr H and I have decided we are forgetting too many of the little things happening everyday in the Howeshold. 2015 is the year we became a family of 4 welcoming little F (now 3 months) to join little D (2) and we want to make sure the great memories we are making now are placed somewhere forever. We love to take (millions) of photographs and can’t wait to get started on some family photo projects in the blogging world to get all the good bits saved in some order, recording all the little things too, little F’s first milestones and the hilarious things that little D comes out with nearly everyday. 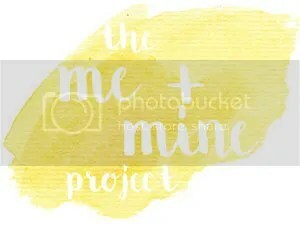 So we are going to begin our blogging journey with a Me and Mine Family portrait for December. This month has been a big one in the Howeshold, Little F turning 3 months old and sleeping through the night (twice!!!) A visit from Aunty G all the way from Australia, little D’s first pre-school nativity (a very stern sheep! ), a surprise trip to the amazing Watergate Bay Hotel to celebrate my 21st (ahem 30th, how am I 30!?) birthday and of course our first Christmas as a family of 4! ( a VERY sleep deprived but happy family of 4! Slight disclaimer, we like to take ALOT of photos in the Howeshold but we are not professional photographers by any means…with many photos, especially since the arrival of little F and apparent lack of hands, taken on our good old iPhones! This was snapped in the amazing heated pool at Watergate Bay by my sister, what you can’t see behind is the epic spanning beach and sea view behind us, lets hope we can find another excuse (and the pennies) to visit again soon. Watching the Christmas lights, still loving his swing chair for naps, kicking about in the bath, growing his hair a little, beginning to giggle a little after lots of work from Mummy and Daddy! And lastly, I have absolutely no idea how to work this blog stuff, so learning as I go, hopefully this has all worked..